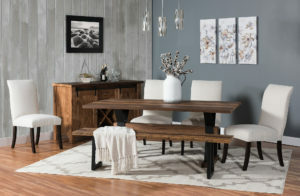 Looking for Fort Wayne Amish Furniture? Presenting the closest – and best – source of Amish-crafted, solid hardwood Fort Wayne Amish Furniture. Weaver Furniture Sales in Shipshewana, Indiana. From I-69 (heading north), take exit 109B. Then, get onto US-30 WEST toward COLUMBIA CITY/ELKHART. Take the ramp onto US-33 NORTH toward ELKHART. Then, continue on GOSHEN RD[US-33], for about 8 miles. Continue to follow US-33 NORTH for approximately 25 miles. In Ligonier, continue on LINCOLNWAY STREET [IN-5] North approximately 1/2 mile. Then, continue to follow IN-5 North for about 13 miles. Turn RIGHT onto country road 075 North. [It’s right BEFORE the light at US-20 & IN-5 intersection.] Then, proceed Northeast for about 1/8th mile. Weaver Furniture Sales will be on the right. Fort Wayne’s Amish Furniture source since 1989, Weaver Furniture Sales offers a full line of custom-built Amish-crafted furniture. So you’ll find items for every room in your home. Including Mission, Shaker and Modern styles. Also, you can order individual pieces. 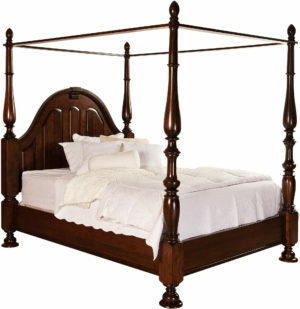 Or, select complete bedroom sets. Plus dining room and living room sets. What’s more, we offer entire collections of office furniture. Also, you’ll find outdoor furniture. Go ahead and browse our online catalog. Because it showcases about to 5,000 products. And you can order online. Or, better yet, visit our 25,000 square foot showroom in picturesque Shipshewana. We’re in the heart of Amish Country. And check out our beautiful, top-quality furniture for yourself. You can buy items you see on the showroom floor. Or, you can custom order. Don’t have a truck? No problem. Because we deliver. Also, we offer financing. See you soon at Weaver Furniture Sales in Shipshewana!